Is Tesla Motors disruptive or disturbing? Tesla Motors stands out in many ways, leaving many wondering how disruptive is it and how disturbing it is for corporations. One thing is for certain, Tesla reflects a need in society, that of a deep fundamental change. The problem is, are giant corporations ready for this change and can they adapt? To disrupt, or not, that is not longer the questions. 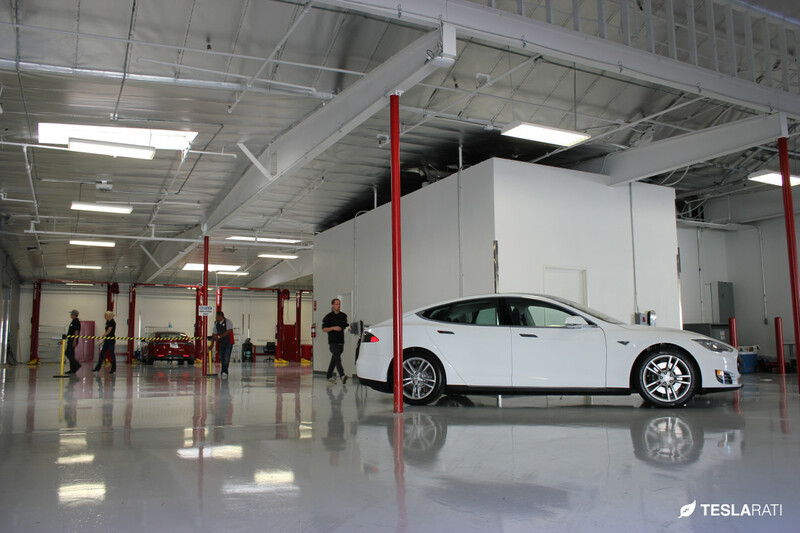 Tesla Motors disrupts and irritates the way corporations operate. Elon Musk and Martin Eberhard didn’t invent the wheel, they both used what entrepreneurs are best at, that of asking what is needed. They wanted a cool and fun car that didn’t use dirty polluting petroleum. They went to see what AC Propulsion was working on with their incredible t-zero, the grandfather of the Roadster and the Tesla Roadster born soon after. Tesla Motors didn’t reinvent the wheel, but disrupted the automotive world by using old and tested technologies, an electric motor and off the shelf batteries. On the flip side, automakers build vehicles with planned obsolescence and constant maintenance, which perpetuate a thriving cash flow through after market and distribution. Tesla introduced an electric car that required close to no maintenance, sold directly to buyers who choose to buy it or not. That was the disruptive part, now let’s look at the disturbing part for automakers. Steady as she goes down the drain. We often fault carmakers for everything wrong in the automotive industry, but their worn out business model that won’t adapt to our fast changing needs is really what is wrong. The biggest mistake they made was to over-rely on the market it created in the first place. It simply didn’t see the electric car technology progressing faster than their gasoline one and doubted this new market was ready. They simply didn’t understand people want a real fundamental change, which means taking a step back from bottom line profits. The Tesla Motors business model frightens established companies because it operates outside their reality and shifts the emphasis back to the consumer. 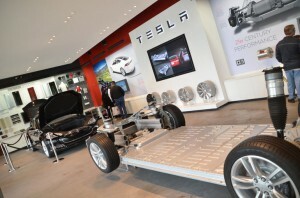 We can debate how much hype there is around a Roadster and a Model S, but fundamentally, one either buys cars because of its superior performance over a gasoline car, or because of the freedom of energy use, with its convenience and reliability and finally, or because it just darn changes things a lot. Now flash back to the post 2008 era, when the financial world was partying as if there were no tomorrow and carmakers sued any states imposing better fuel economy. Carmakers perpetuated the belief we wanted cars with more cup holders than we truly needed, and favored creature comforts over performance and evolution. The advent of the electric wrestled that grip on the lulled market away from them, the way only a silicon valley startup could with its different business model. So, who’s disturbing now? When we look back in time, almost all big corporations were at one point disruptive. AT&T gave us Unix, Microsoft gave us the potential of the personal computer, but we certainly can’t call them disruptive anymore. They are disturbing in the fact they no longer innovate, but stubbornly pursue a path of pure profitability. Unfortunately, Apple is also following the same trend. The company once famous for stellar customer service and extremely well made computers is now more focused on profits than innovations. It’s Apple store is no longer fun to visit, and manufacturing problems are happening often. It doesn’t take much extrapolation to see that one day too, Tesla Motors will be in the same situation. Are there exceptions? Certainly IBM made the right change. After decades of focusing on manufacturing, it made the boldest move to go back to consulting. Look at where IBM is now, and compare it to other personal computer makers. So what can companies learn from newer players and what can newer players learn from older companies having come full circle?